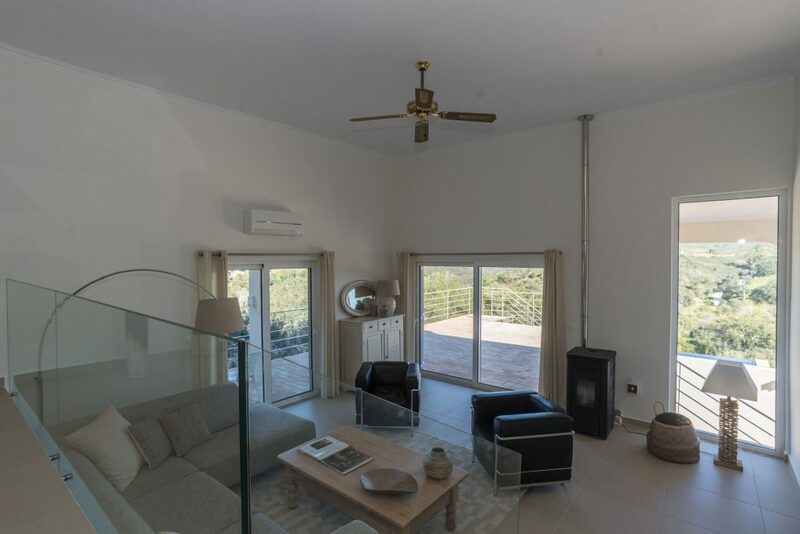 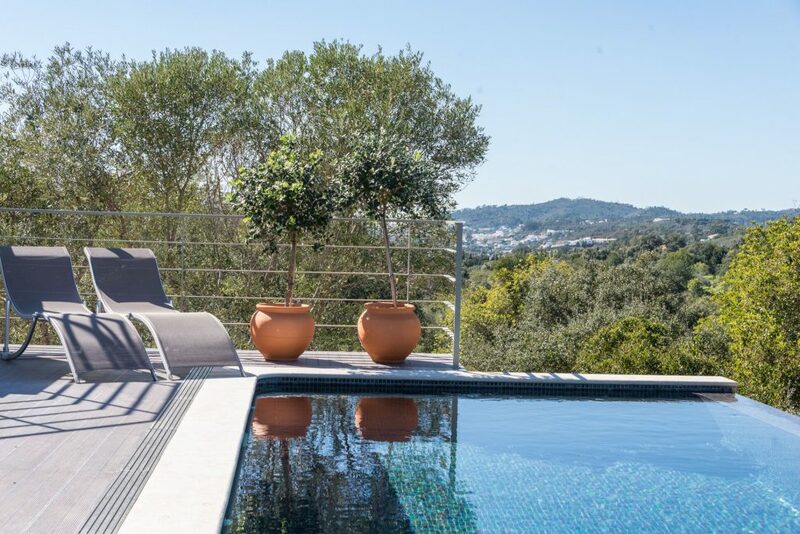 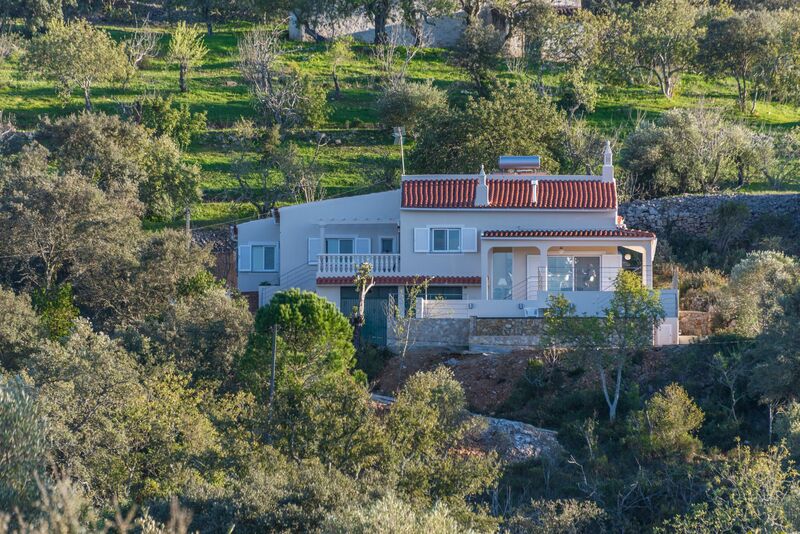 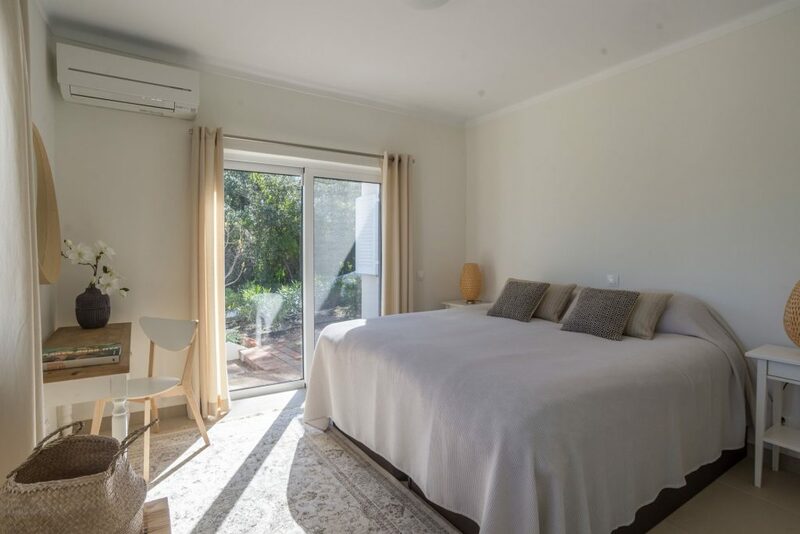 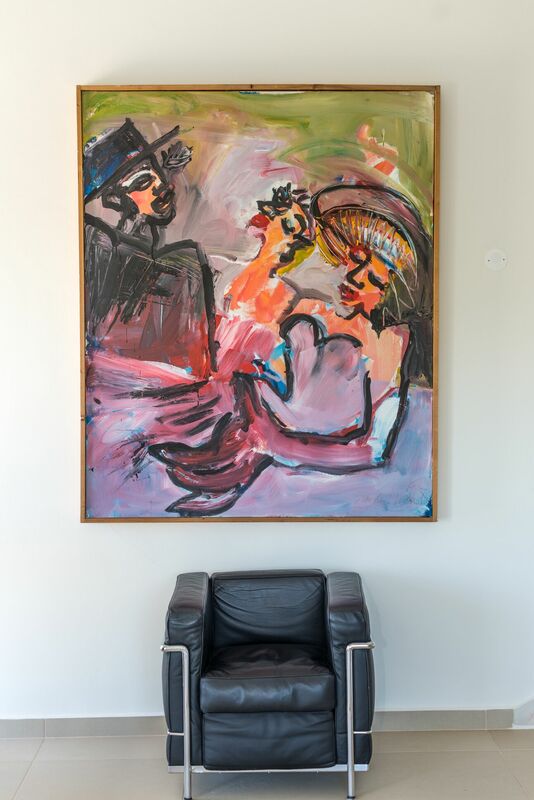 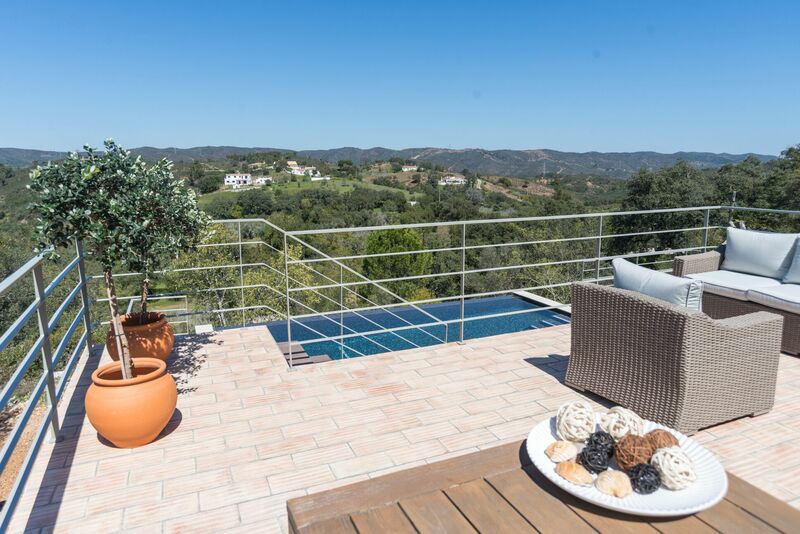 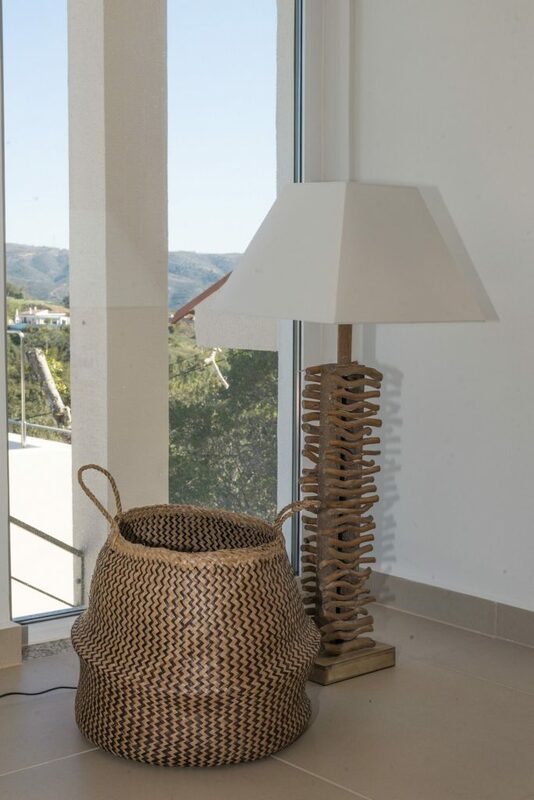 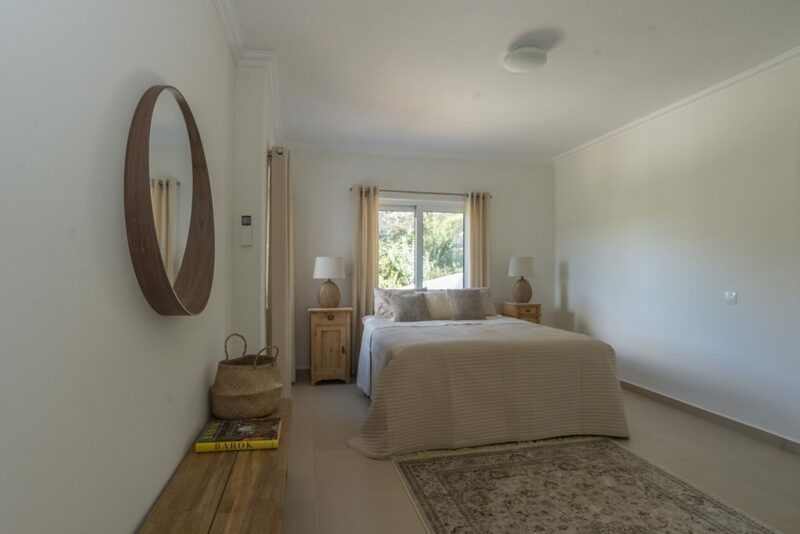 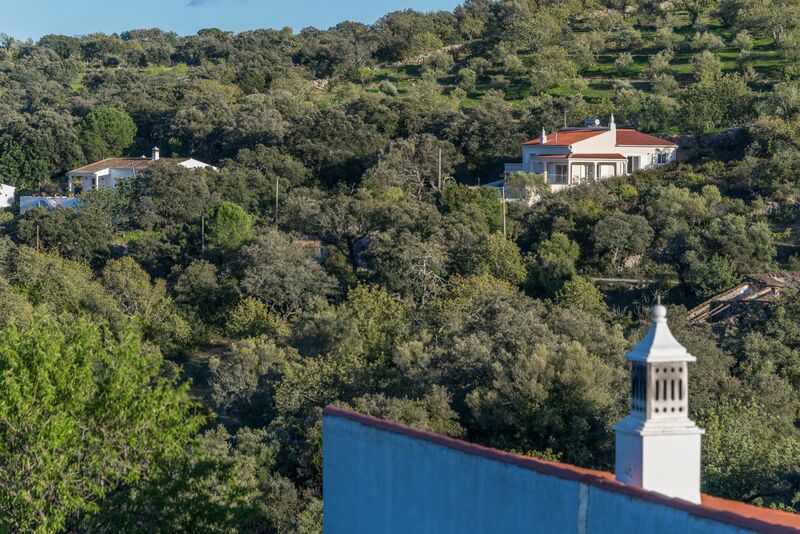 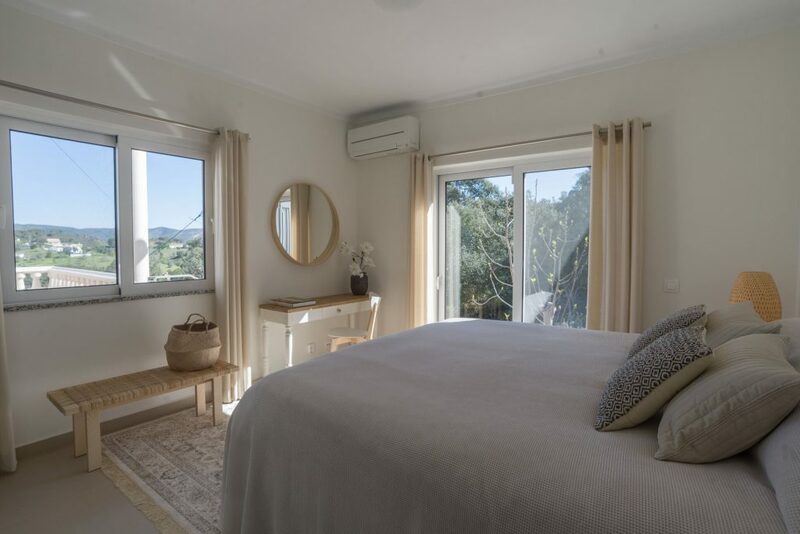 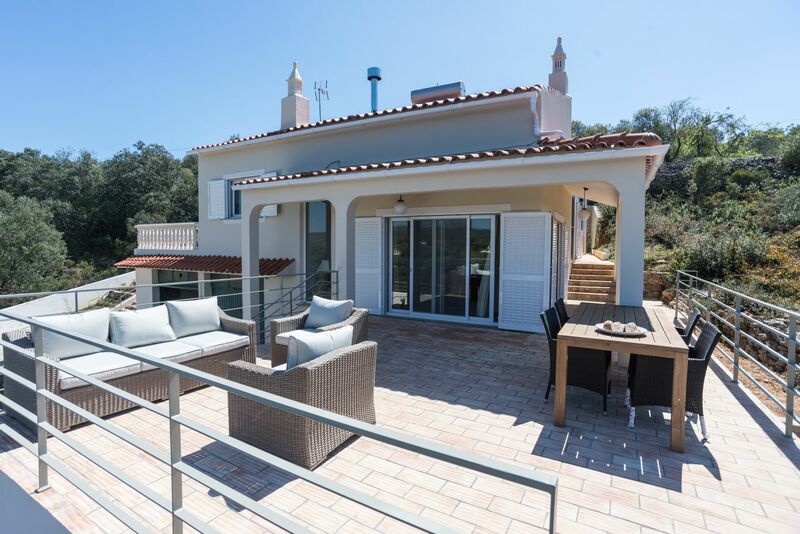 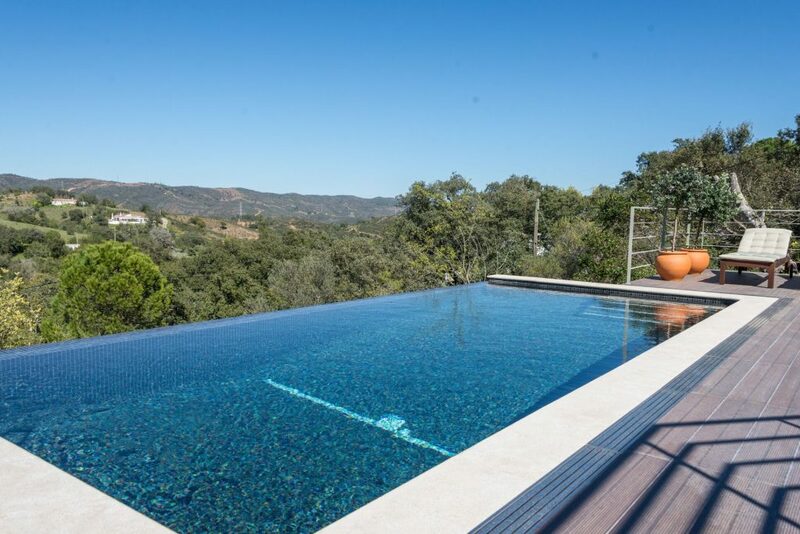 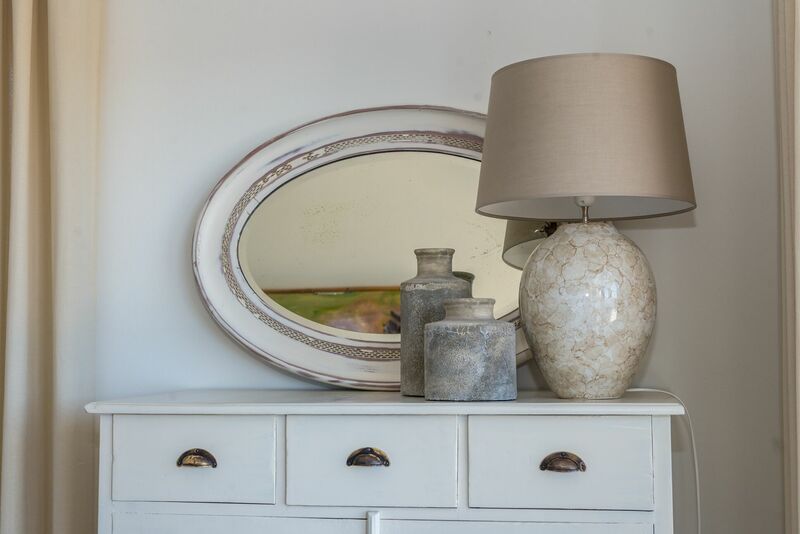 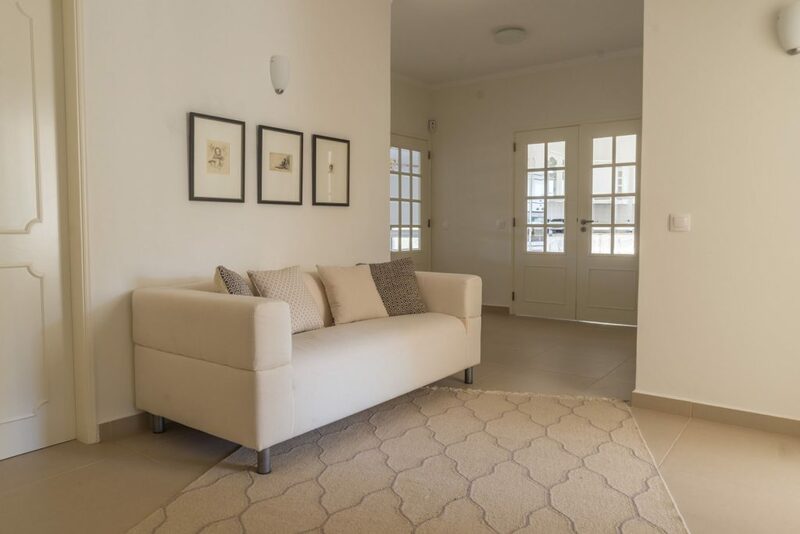 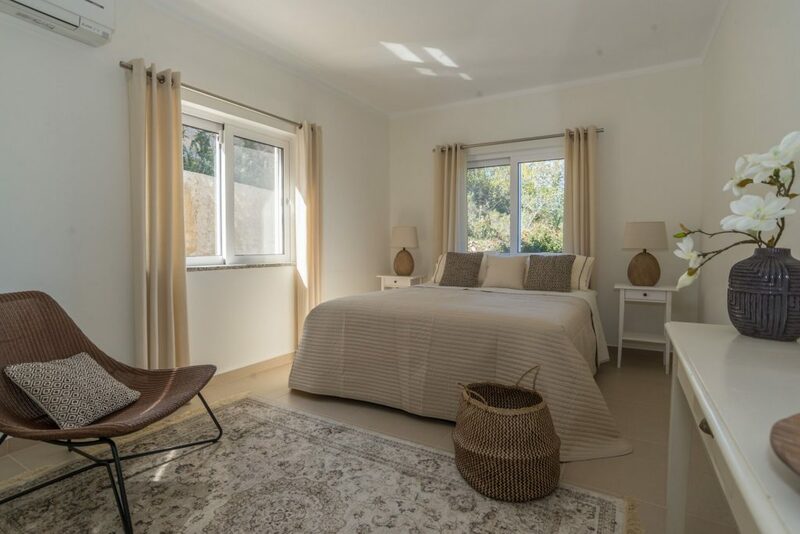 Villa Tareja offers complete privacy where in luxury, tranquillity and space you can enjoy the sun, the pool and the spectacular views over the hills of the Serra do Caldeirão. 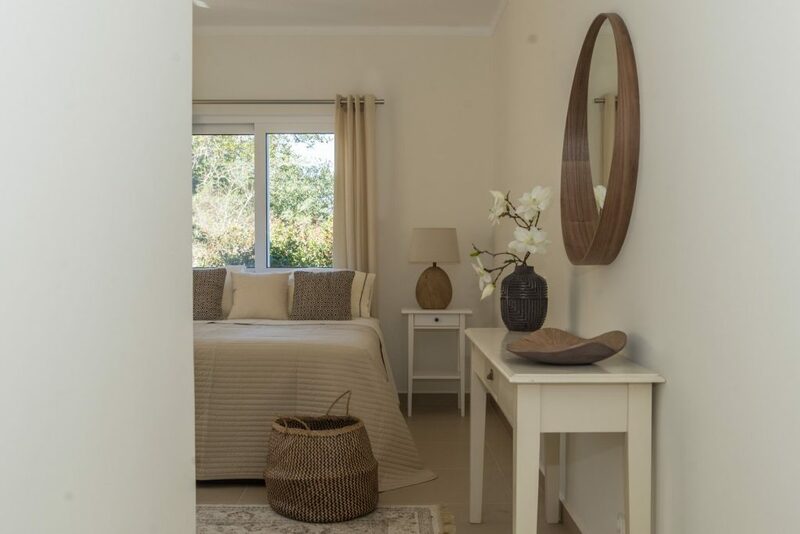 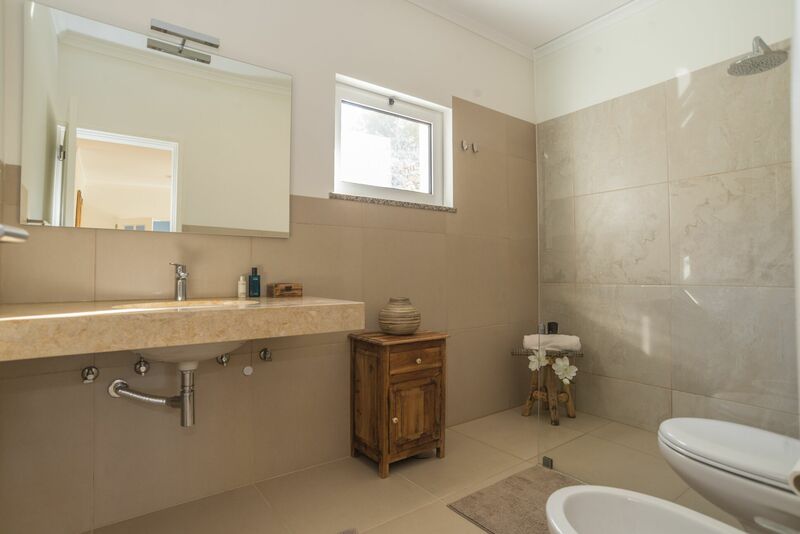 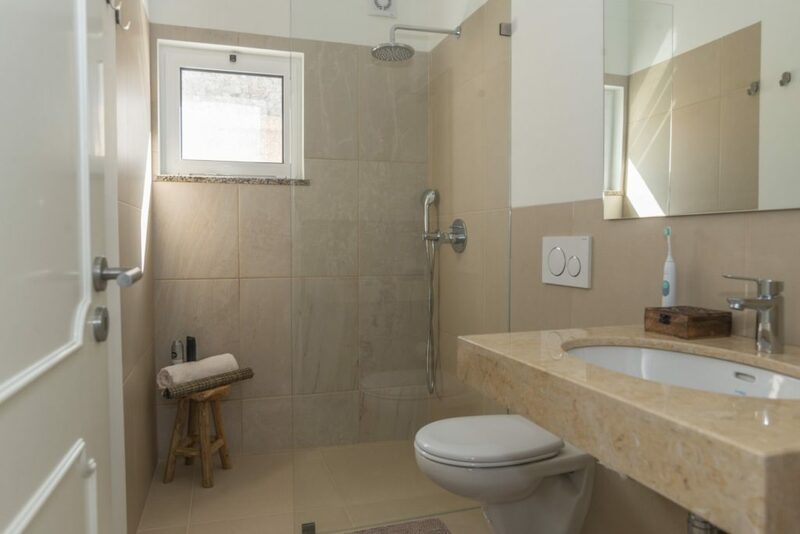 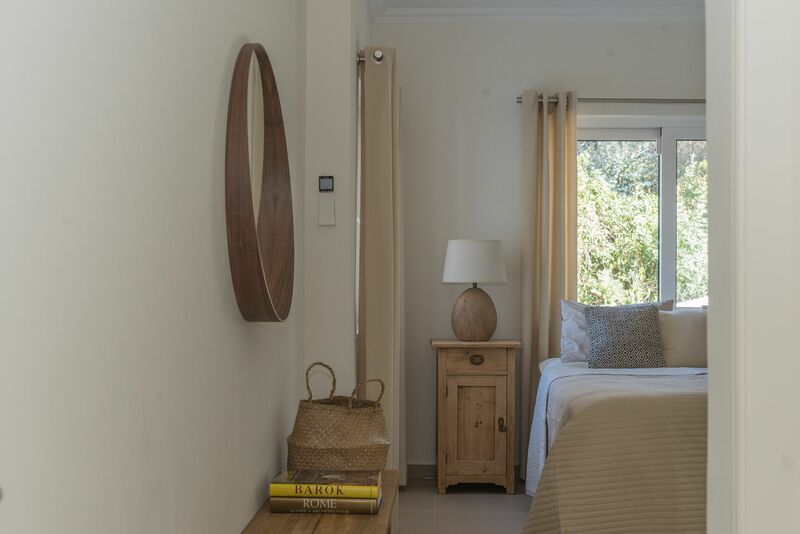 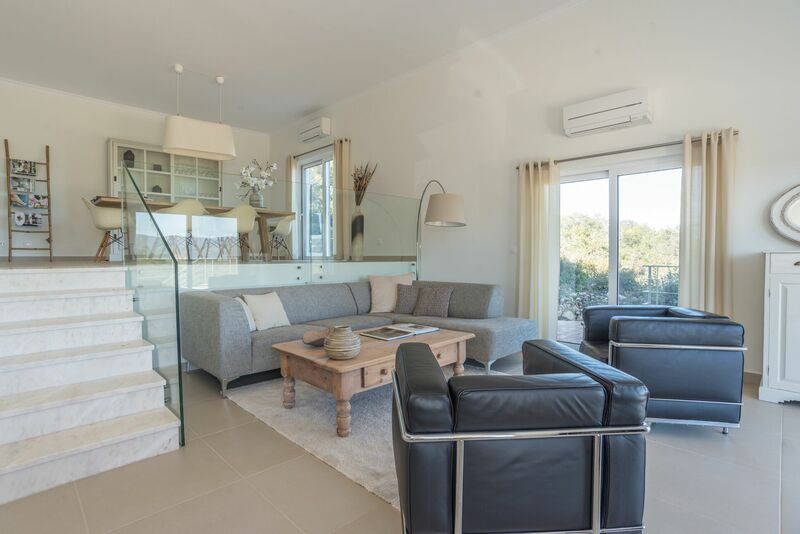 The villa has 3 spacious bedrooms, each with its own bathroom. 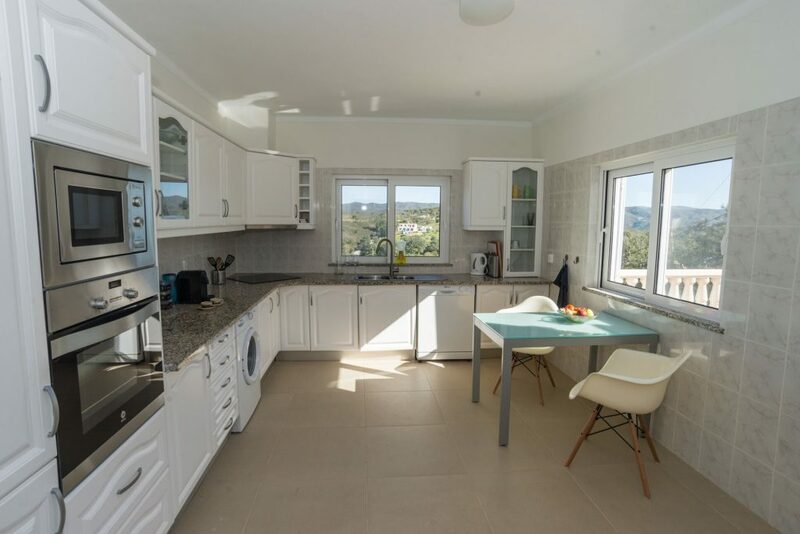 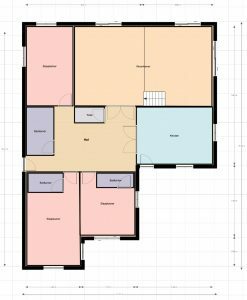 The large kitchen has all appliances and in the spacious hall you will find a separate toilet with fountain. 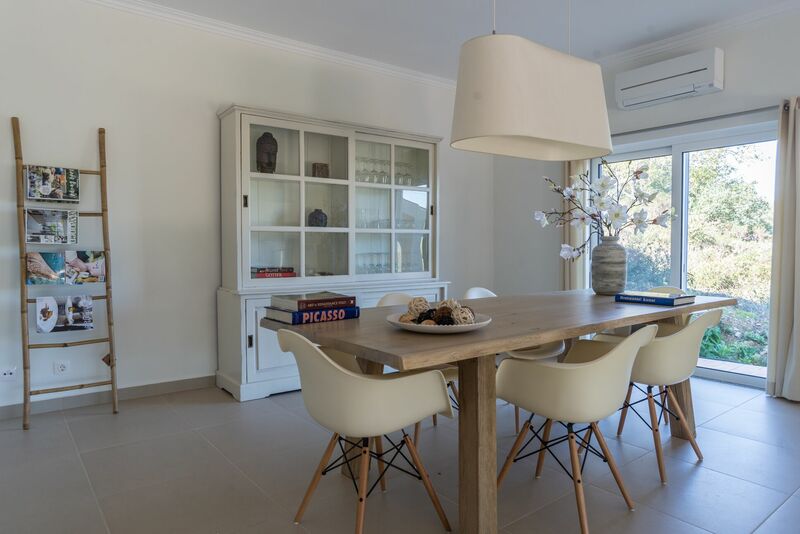 The living room (50 m²) has a separate dining and sitting area with a pallet stove for winter evenings. From the dining and living room you can walk, through the sliding doors, to the large terrace and the spacious sun deck at the beautiful infinity pool. 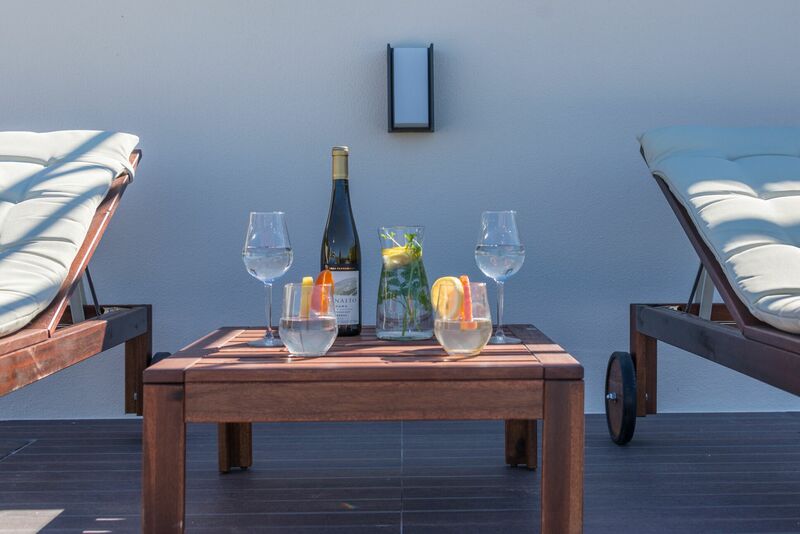 The terrace has a lovely lounge seating area and a large dining table with comfortable wicker chairs. 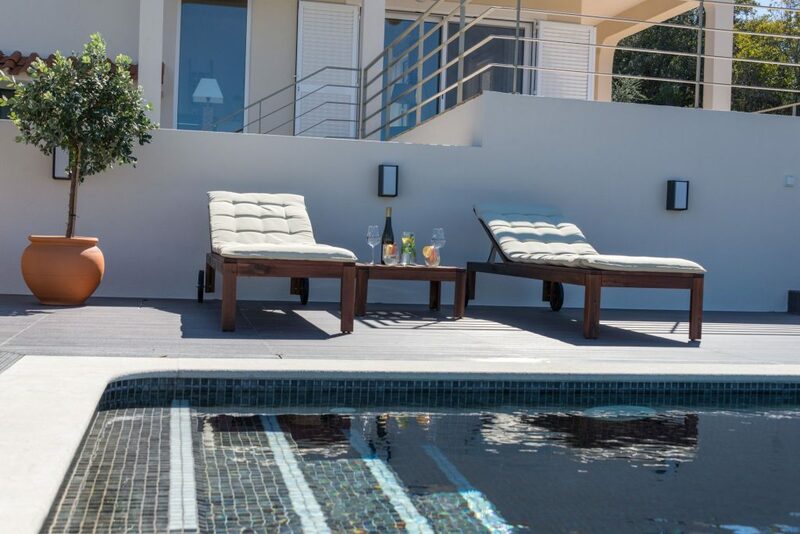 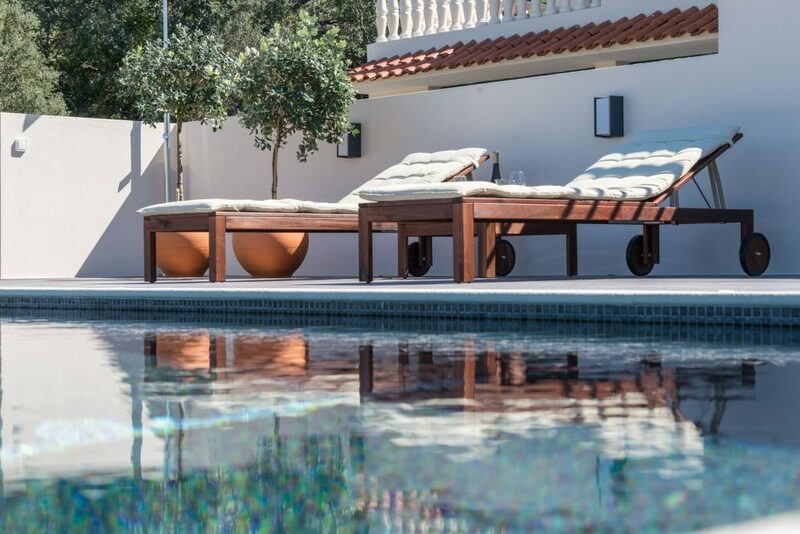 At the sun deck by the pool you will find teak sun loungers with comfortable cushions. 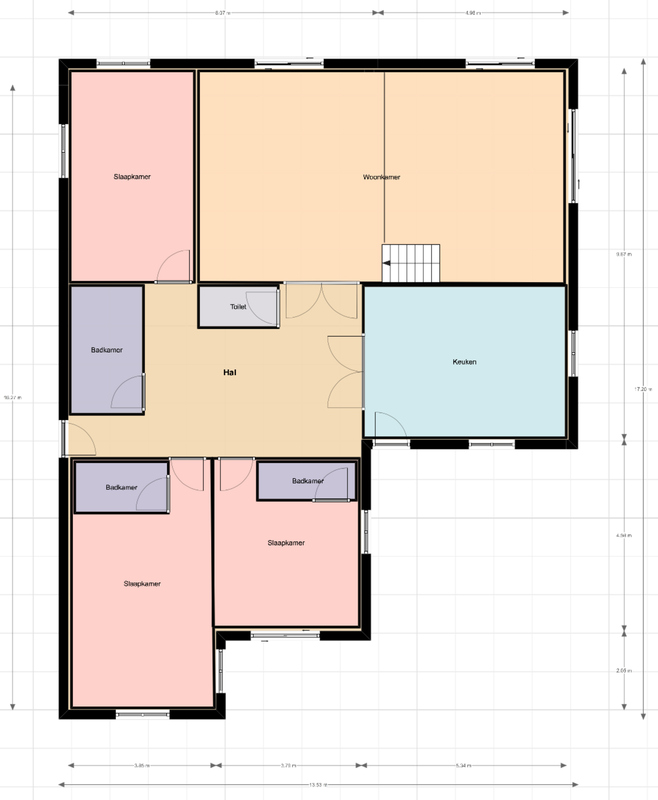 All bedrooms and living room have air conditioning for cooling, heating and air cleaning. 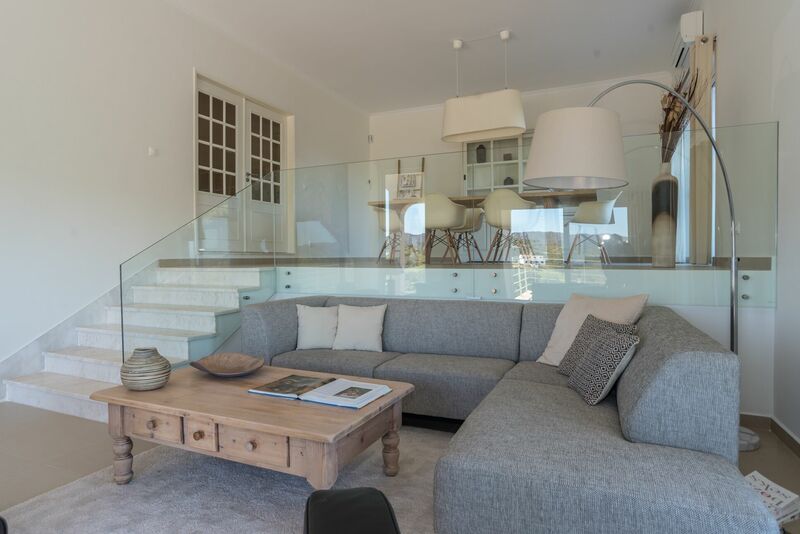 Of course there is free wifi, a Sonos music system and satellite TV with all Dutch channels.